Camp Pendleton is located in San Diego County, California, where the sun shines and the ocean sways. If your family is Marine Corps, you’ll likely be stationed at Camp Pendleton at least once. And why wouldn’t you want to? Beyond the obvious attractions like Disneyland, Sea World, Legoland, and the Sea Life Aquarium, San Diego county is home to the San Diego Zoo, wineries and, the obvious--gorgeous beaches. Camp Pendleton is approximately the size of Rhode Island. So before you commit to a home, find out where you'll be reporting for duty! Living near the wrong end of base would drastically affect your commute to work. With that in mind, MilitaryByOwner is highlighting three great areas to live near Camp Pendleton! Oceanside is the third largest city in San Diego county, located just south of base. Oceanside is your classic beach town and features many tourists, restaurants, and shops. But beyond its beauty, it’s a great place to live because of its location. It’s only 45 minutes to San Diego, one hour to Anaheim (Disneyland), and only two hours to Los Angeles. Unlike some of the surrounding areas, O’side is BAH (Basic Housing Allowance) friendly. In fact, it’s quite possible to get more for your money here than any other waterfront town. Another selling point? Oceanside is only a few minutes drive to base, making this town not only fun, but also convenient! Here’s one great home to consider located in Oceanside. Temecula is located east of Camp Pendleton. If you’re less interested in living near the ocean and want to live somewhere more like home, Temecula is where you should look. Many military families are attracted to this town because it puts a few miles between them and the tourists at the beach and the other attractions in town. Residents enjoy wineries, spas, golf, lakes, and fishing. A great perk to living in Temecula is the distance from Camp Pendleton. You will have a longer commute to work, closer to 40 minutes, but your family will gain the separation from base you might be seeking. As you can imagine, moving further away from the ocean decreases the cost of homes, so your BAH will also serve you well here. 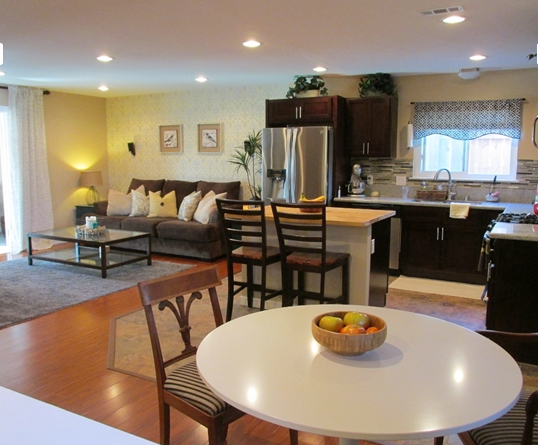 Check out one of the many great housing options in Temecula. This three-bedroom, two- and half-bath home features both beautiful indoor and outdoor living space. The interior features hardwood and tile flooring. 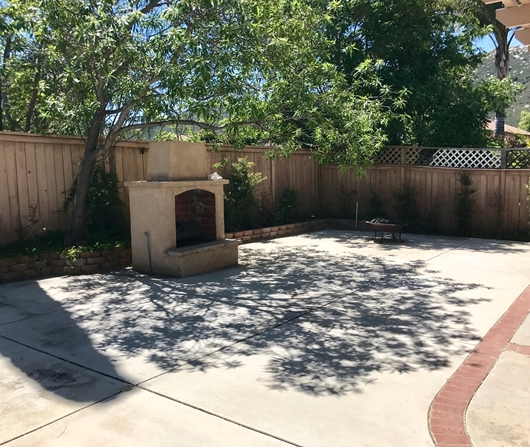 The kitchen and bathrooms are newly remodeled, while the outdoor fireplace and large patio make this property great for entertaining. San Clemente is located north of Camp Pendleton and right on the ocean. Like Oceanside, San Clemente has beautiful beaches, yummy restaurants, breweries, cute boutiques, and even an outlet mall. Unlike Oceanside, however, this beach town is quieter. It’s nearly 30 minutes from the tourist attractions south of base, an hour from San Diego, and 45 minutes from Disneyland, so most people you'll to share the beach with here are your fellow San Clemente residents. San Clemente is right outside base, so your commute to work will be relatively quick, although you may find you pay for it here. The average home cost here is higher than both Oceanside and Temecula. Take a peek at this beautiful San Clemente home! 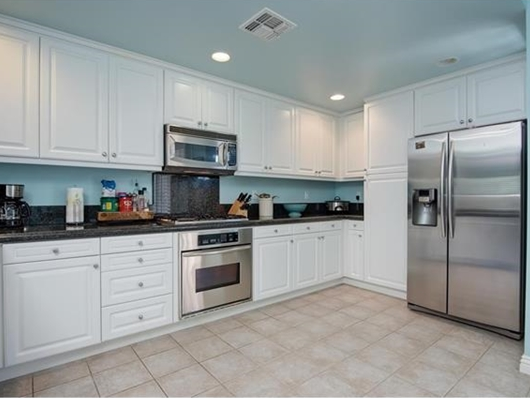 This three-bedroom, four-bathroom condo is situated just ten minutes from base, and only a few from downtown San Clemente and the beach. Residents also have close access to a swimming pool, hiking trails, and the Talega Golf Club. The kitchen features granite countertops, stainless steel appliances, and white cabinets. While these homes are no longer for rent, take a look at the numerous listings near Camp Pendleton on MilitaryByOwner to find your perfect place!